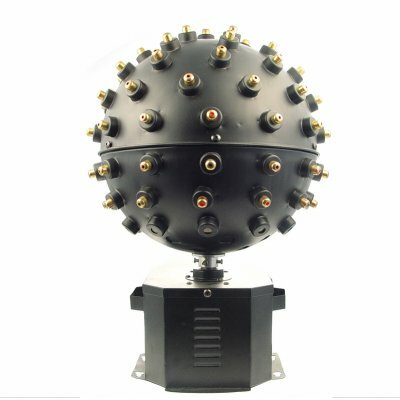 Successfully Added Rotating LED Laser Ball - 40+ LED Light Emitters to your Shopping Cart. Incredibly cool 360 degree rotating LED laser ball for turning any room, hall, or closed space instantly into a rocking club atmosphere. This great party accessory has 40 + LED light emitters, each with 5mW power for shooting out red light up to 10 meters or more in low light or in darkness. Installation couldn't be simpler, with the ability to either run upright or upside down on the ceiling, and Chinavasion provides all necessary power adapters to work in any county. A great raver's item for sale at super low wholesale prices available nowhere else..